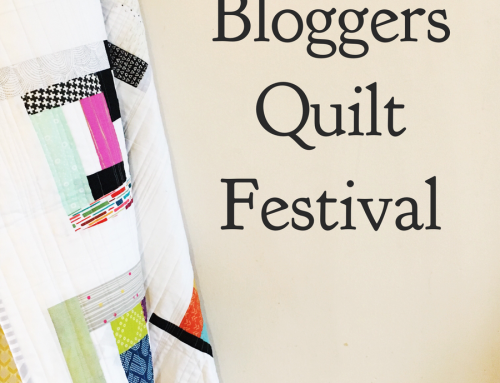 I’m excited to welcome you back to the Blogger’s Quilt Festival! Gathering and sharing our work, even from afar, is exciting and inspiring. And I always love seeing new friendships formed through the Festival. 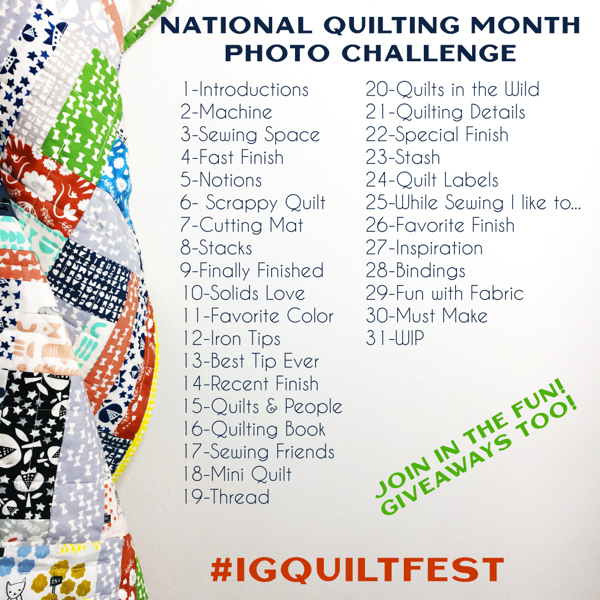 If you haven’t participated in the Blogger’s Quilt Festival in the past – Join in! There’s absolutely no restrictions on how long you’ve been sewing or the type of quilt that you like to make – most of all please share what you love. Don’t let the beauty of what someone else has created, keep you from sharing your own project – you never know who you will inspire! ALL the quilts will be in one spot, in this post. Once you visit a quilt there is a check mark that appears on the photo, to help you keep track of where you’ve been. The linky software I use keeps track of your IP address, so if you switch devices you won’t have the same check marks. Before we start admiring all the beautiful quilts, I have to thank the sponsors for their amazing prizes, and overall support of the Blogger’s Quilt Festival! I couldn’t do it without them! I hope that you will take the time to shop our “vendor mall” and pick up fabric or patterns for your next project. All the logo images in this post, and in the sidebar, are links to take you to their spaces online – be sure to check them out! will be awarded to participants in the Festival, via a random number generator. Since we aren’t voting anyone that enters a quilt and leaves a comment can win! Pink Door Fabrics is offering a $75 Gift Certificate! Wisconsin Quilt Expo is offering Farmhouse Florals Fat Quarter Pack and Three Pattern Bundle! Bijou Lovely is offering a $50 Gift Certificate! Moda Fabrics is offering five prizes! Merry Makers book & Metropolis Lunch Box set! A BasicGrey New Grunge FQ bundle! A Twilight by OneCanoeTwo FQ bundle! A Basic Mixologie 2018 F8 bundle! A Lazy Days by Gina Martin F8 bundle! Green Fairy Quilts is offering a Flourish Jelly Roll! Pattern Drop is offering a F<avorite Notions Pack–5 different quilting notions! Maker Valley is offering a $50 Gift Certificate! Designs by Sarah J is offering a fat quarter bundle of an upcoming line Prettiful Posies! Kimberbell Designs is offering Square Orange Pop Ruler Set! The Quilter’s Planner is offering a 2019 Quilter’s Planner, the collector’s magazine, and four pages of stickers! Pink Castle Fabrics is offering a $50 Gift Certificate! Are you ready to enter your quilt? I hope you are, I can’t wait to see! Each quilter can enter up to two completed quilts, each in there own blog post. 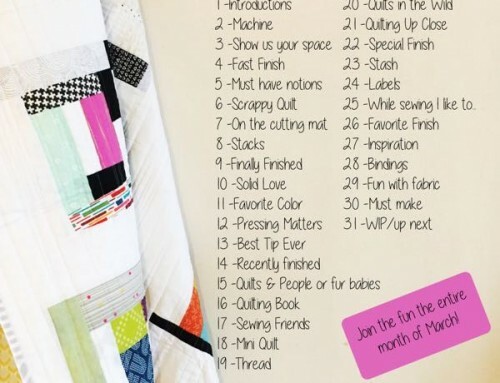 If you are sharing from Instagram, in keeping with tradition, add lots of information about your quilt and the inspiration for it in your caption. 2 – In your post link back to the festival so friends can participate too. 4 – Leave me a comment below about where you are from to be entered into giveaways. I highly encourage all of you to leave comments to let the blog owner know that you’ve been there and how their work has inspired you! This is also a great way to make friends, and odds are you’ll get lots of comments on your Festival posts too. Hopefully, all your questions have been answered, if not feel free to email me directly, for the speediest reply. I’m looking forward to all your entries — thank you for participating! Amy, looking forward to the festival and seeing all the beautiful quilts! Thank you as always for hosting and to all the generous sponsors! Thanks for hosting again! I’m from Michigan originally but currently living in Maryland. Thanks again for hosting! I live in Hillsboro, Oregon. Thanks for hosting. I’m from Minnesota. Amy, I look forward to this time of the year, every year. Thank you for hosting. I know it takes a lot of work and it is appreciated. I live in Sterling, Virginia. Excited to see all the beautiful quilts! Thanks for hosting this fun event. I’m from Oklahoma. I thank Preeti for the reminder about your blog link up. I have entered two quilts (two posts). I live in northern Illinois. Thanks for hosting (and for the giveaway)! Thanks for hosting this fun event! I live in Loveland, Colorado. Hi Amy, Thanks for hosting again! This is one of my favorite blogging events each year. I live in rural western New York near the Pennsylvania border. Thanks for hosting the festival it got me blogging again after taking the summer off! I appreciate all of your hard work to organize this Festival event. I’m looking forward to seeing all of the quilts this year. I’m from Las Vegas, NV area. I enjoyed the Festival so much last year, I HAD to join in this time…twice! Thanks for the opportunity to see such a range of quilts and to read such wonderful stories about making the quilt or who the quilt was made for. Thank you for organizing and hosting this wonderful opportunity to see and be inspired by quilts from all over the worl! Thank you, also, to all the sponsors who are so generous with their prizes! I grew up in Florida, but moved up here to northern Virginia 20 years ago!! We now live in Haymarket! Amy, thanks for all your hard work for this quilt festival! I am in Kansas City, Mo! Off to the quilt show! Thank you, Amy, for hosting this once again. I’m from a small town near Ann Arbor, Michigan. Thank you for creating a venue for sharing our creations! We all appreciate your efforts that help keep blogging alive in our community. I live in Iowa…sorry I forgot to write that! Thank you for hosting this. This is my first time entering the bloggers’ quilt festival. I’ve loved so many links on this as well as the previous bloggers’ quilt festivals. I live in Houston, TX. I have participated in the festival in the past, and am thoroughly enjoying choosing another favorite quilt to share with everyone. Thank you for this opportunity and for organizing and hosting this. Sorry I forgot to say, I live in Ohio. Thank you so much for hosting such a fun and inspirational festival! Massachusetts quilter here. I look forward to this every year! Thank you for hosting this. Can’t wait to post my new finished wall quilt in here and see others blogs and quilts it’s my first time doing this.Thank you for doing this. Thanks Amy, for hosting again. It already looks amazing and I can’t wait to see the many entries. A big hello from Denmark. Thanks so much Amy, for hosting the Quilt Festival. It’s always inspiring to visit the participating blogs. Mine comes from the sunshine state of Florida. Amy this is always such a treat for me. I think I am great and reading blogs and seeing everyone’s work, but you always have some that I missed. Thanks for hosting again. Amy, always enjoy the festival. I linked up my quilt Encouragement made for my daughter’s teacher! Someday… I will be ready to participate… but I have already blogged about my finished projects…. and i hate to repeat a topic… and well I have some content to put up this week, but NOT quite as much fun as looking at quilts but it will help with making them… Currently residing -Near Louisville KY! Generous sponsors, lots of eye candy …Thanks for hosting another festival! Viewing from amidst the cornfields in rural eastern Iowa. Thank you Amy for hosting. I’ve been away from the festival, but I am happy to be back. I am happy to see that prizes are random and not based on voting. Thank you for a chance to win. I love visiting all the quilts and bloggers. Thank you so much for hosting, lots of fun stories and inspiration! I live in Dublin, Ireland. I can’t wait to visit all the links. Thanks for hosting. It was fun last year as well. I’m from Abbeville, LA. Thank you once again for hosting. I am from central Louisiana, where it is still HOT and humid! Hurry, Autumn! Thanks for hosting this Amy! I love having all these quilt blogs in one place! I’m from Maine and am looking forward to a long winter of quilting! Thanks again! Thank you for hosting year after year, Amy. I am currently in Southern California. Thank you, for giving quilters a place to show their quilts. Thanks so much for putting this on every year! Love seeing all the beautiful quilts and finding new blogs. Thank you for hosting this Amy. I’ve just entered for the 5th year! I love seeing all the quilts on display and discovering quilters I haven’t met before. Thank you for hosting. Thanks for hosting this event again. It really is something I look forward too. I always find new blogs to follow. Always enjoy this! I quilt in lovely Coos Bay on the Oregon Coast! Such a beautiful grouping of inspiration. I’m from Port Hope, Ontario, Canada. Thanks for hosting this fun event. I am in Minnesota. I love Blogger’s Quilt Festival! It’s so much fun to see everyone’s quilts! Thank you for hosting. I am from Ottawa, Ontario, Canada. Hideeho – I live in rural Amador County, Northern California. This is my second year with the festival and thank you to Amy for hosting! 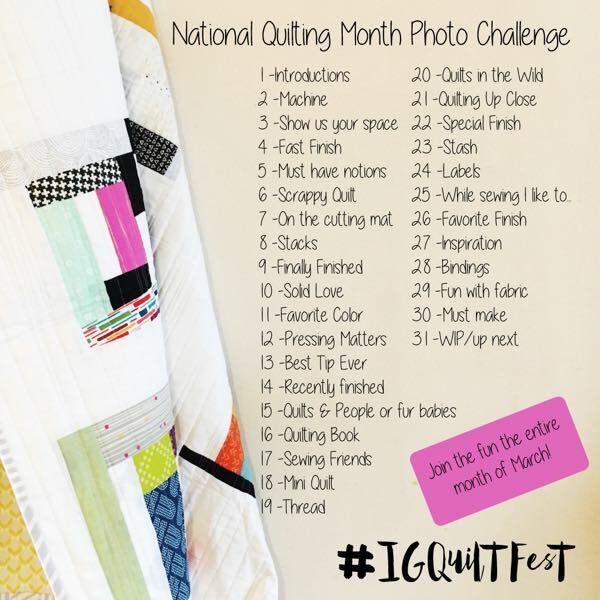 What a great idea, I will have fun looking at all the quilts and maybe post my own. Thank you! Thanks for hosting the festival! It is always one of my favorite things each year! Visiting from Poynette, WI! Thank you for hosting – I love seeing so much wonderful inspiration in one place! Enjoying the show from New Orleans, LA. Thank you for hosting the Blogger’s Quilt Festival again! There are so many great quilts. Wow! What generous sponsors. I love these festivals, because you can see all the beautiful work from everyone that joins. Entered my first quilt. Thanks for hosting. While I don’t blog, I enjoy reading other bloggers and this is a great way to see some new faces and many wonderful projects. And I appreciate the change in format. It’s so much easier to navigate (and a lot less work for you!). I just found the festival first time this year, of course I must join! Thank you for Hosting Amy! From West Virginia! Hello from still-summer Ohio! 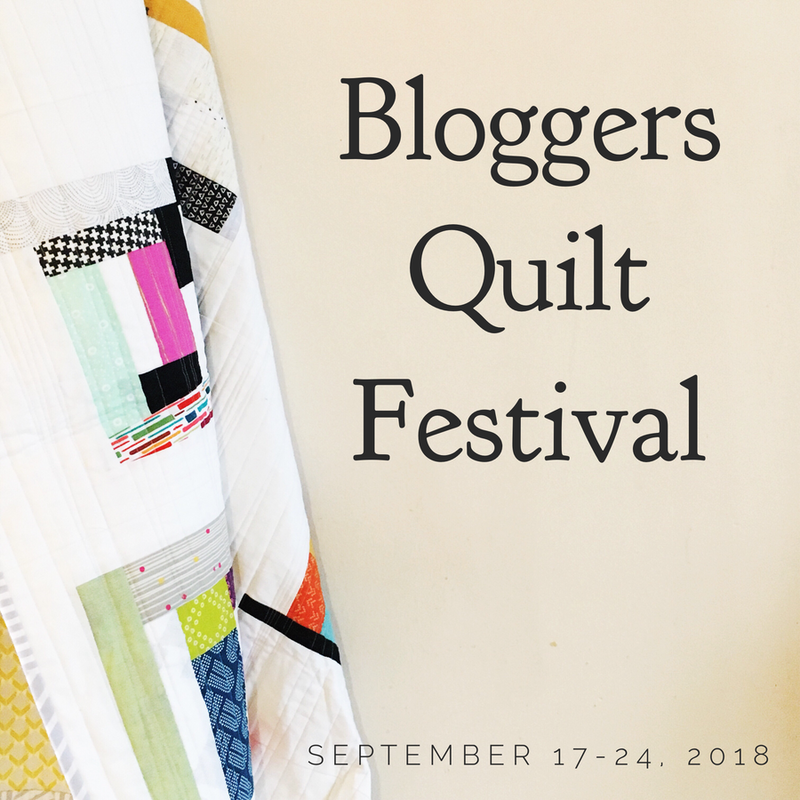 I’ve joined your IG quilt festival the last two years, but didn’t realize you hosted a blogger festival too! I love this annual series as I get to meet lots of new bloggers and see so many amazing and diverse projects. Thanks for hosting!! I’m from New Jersey, and I’m really enjoying checking out everyone’s posts. Thanks for hosting! Thanks for hosting again! I am in South Carolina. Thanks for hosting the festival. I’m from Missouri. Thank you so much for hosting this event. The time you put in is very much appreciated and I love to discover new blogs and inspiration for new projects! Oops – I got so excited to share, I forgot to say I live in Michigan! Thank you for this fun event and inspiration. I am from Pennsylvania. I’m from Melbourne, Australia and love seeing all of the amazing quilts. Thank you. I just entered my second quilt via IG. Thanks again for your efforts! This event is certainly great & I’ve been visiting lots of different blogs & now wondering if I have still have time to do a post. I’m from Australia. Thank you & take care. Thanks for hosting Amy! While this is my first time entering any of my quilts, I have certainly enjoyed viewing past Blogger’s Quilt Festivals! I am looking forward to spending more time checking out all the lovely entries this year. I create out of San Jose, CA. This is a such great gallery of wonderful quilts! But I start to be a little lost in my blog visits, as the check mark that should appears on the photo once we visite the blog doesn’t appears for me. Is it just me, or it doesn’t work? Hi Amy, thank you for hosting this linky party. This is my first year participating, and I’m from Minnesota. Thanks for hosting Bloggers Quilt Festival! I’m from St. Louis, MO. Hey Amy, Thanks for the opportunity to enter my Nature Walk quilt in your Bloggers Quilt Festival 2018. Many thanks for all of your efforts, time and talents…..much appreciated. Wow! What a display of awesome quilts – thanks again for hosting the quilt festival again this year! Amy, Thanks for the opportunity to show my little art quilt. I’m from Southern Indiana – Newburgh. Now to check out the links! Hi, Amy! This is my first time participating in the Bloggers’ Quilt Festival. I love all the inspiration! I’m going to grab a pumpkin spice latte and visit these quilters. I live in Minnesota and I’m visiting my daughter in Texas this weekend. Just discovered the festival! what a nice event! So many beautiful quilts I don’t know which to click first! Thanks Amy for offering the opportunity to share in the Quilt Festival. I am enjoying the visits to other quilters, they are very inspiring. I live in Starkville, Mississippi. Thank you for hosting the Blogger’s Quilt Festival. Lots and Lots of eye candy!!! Thanks so much for hosting this event. It brings so many wonderful and inspiring quilts to so many viewers. The variety is amazing. Beautiful quilts! I wanted to add my email to your list but was stopped by my computer saying it was not secure. Ugh! Thanks so much for hosting again Amy! It is so inspiring to see the beautiful quilts from all over the world! I am a first time participant from Idaho. Thank you so much for hosting. Thanks for hosting another amazing Bloggers Quilt Festival I look forward to it every year!! A great chance to share our creations, and what super prizes! So many amazing entries – I will be spending a lot of time checking them out. I’m in Edendale, Southland (at the bottom of New Zealand). Oh, so much quilting inspiration. Thanks for another year, showcasing amazing talent around the world. I’m from Louisiana. Thank you Amy for another opportunity to show my quilts. You have many talented followers. Thank you all who participated and shared! Bloggers Quilt Festival is always a favorite event. Fewer new finishes for me to choose from this time but I’m excited to share details of a special make to add to those from previous years. Thanks for a great place to discover makers. oops, I forgot to say I’m in Capitola California. Usually the comment shows as CapitolaQuilter as a hint to where I live, but looks like it’s just me! Thanks, Amy, for all the work you’ve put into organizing this awesome online festival. I’m from New Mexico. Late to join in this year, but this, and you, are part of the reason I started blogging. Thank you! Whoops, didn’t read the rules. I’m from a tropical Canadian Island in the Pacific. Thank you so much for hosting the festival again this year! I am in Ohio. Hi Amy, I’m enjoying my second year participating in the Bloggers Quilt Festival–having too much fun reading the posts and almost forgot to leave a comment about where I’m from which is Algonquin, IL. Thanks for hosting this wonderful festival; it really is a great way to meet other bloggers/quilters and be inspired. I’m from Albuquerque, NM. Thank you so much for hosting the Bloggers Quilt Festival. I look forward to this event and love to see what everyone has been creating. Thanks for hosting, Amy! I’m quilting in San Jose, California. What would we do without dead lines? Thanks so much, Amt, for hosting this amazing event yet again! I’m entering all the way from Germany! I enjoy visiting the blogs and enjoy all the amazing quilts that are entered in the Blogger’s Quilt Festival. 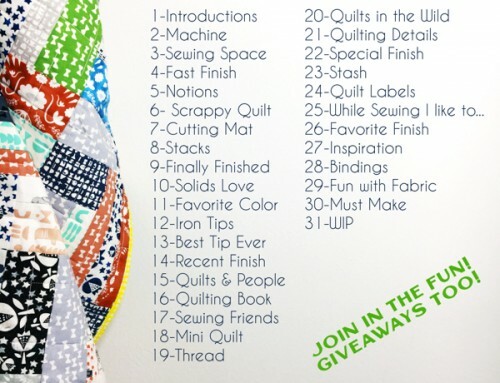 I did not know that quilts can be entered via Instagram for us “non-Bloggers” and will sign up for your newsletter to be alerted for the next opportunity to share. Hello Amy. I did not notice that we were to leave a comment including where we live. I am in northwest Alabama. ‘Hope it is not too late.